Japan captain Makoto Hasebe has announced his retirement from the national team, on the heels of the squad’s heartbreaking ejection from the World Cup in a match against Belgium. “I have decided to end the chapter of my career with the national team with this tournament,” Hasebe wrote on his Instagram account. 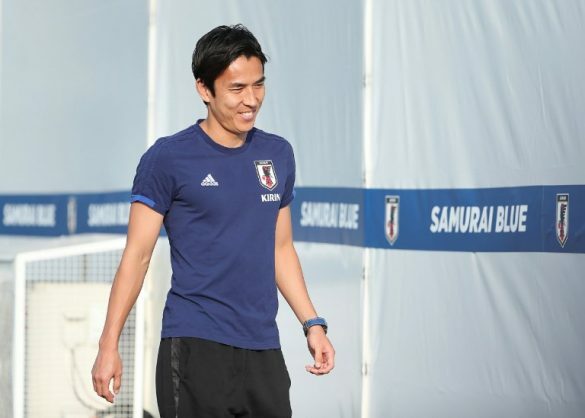 The 34-year-old defensive midfielder’s departure from the Blue Samurai could mean a changing of the guard for the team, with former AC Milan striker Keisuke Honda, 32, also saying he plans to retire from the national squad. Hasebe, who won the German Cup with Eintracht Frankfurt last season, has been on the national team for more than 12 years under five coaches. This year’s World Cup is his third, after South Africa in 2010 and Brazil in 2014, and saw his team come heartstoppingly close to the quarterfinals before crashing out against Belgium. Japan were ousted after Belgium came from behind to win 3-2 in their first match in the knock-out round. The team will head next to the Asian Cup in the United Arab Emirates early next year, and may also be looking for a new coach. Akira Nishino, who took over months before the World Cup after the controversial firing of his predecessor Vahid Halilhodzic, has been tightlipped on his future plans despite reports he could be replaced.